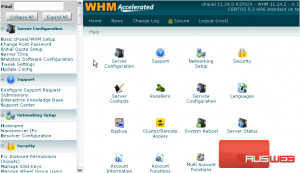 WHM has a page containing a list of all the parked domains on your server, as well as one containing all the subdomains. 2) First, we’ll check out List Parked Domains. Here, you’ll find a table listing all main domains that have any parked domains, their usernames, and the parked domains themselves. 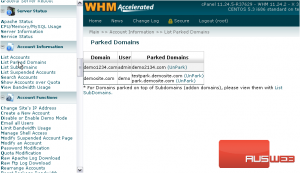 3) Click the UnPark link to remove a parked domain. The parked domain has been removed from the server. 4) Now for the subdomain list. This list is similar to the one for Parked Domains. Next to each domain, you can see a list of subdomains, as well as subdomains that are also addon domains. This is the end of the tutorial. 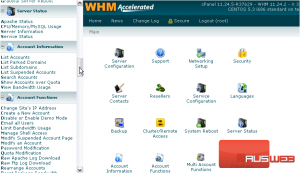 You now know how to list all the parked domains and subdomains on your server in WHM.